The FIA is working on a new version of the halo for 2021 with an improved appearance, as it continues research to improve the cockpit safety device. 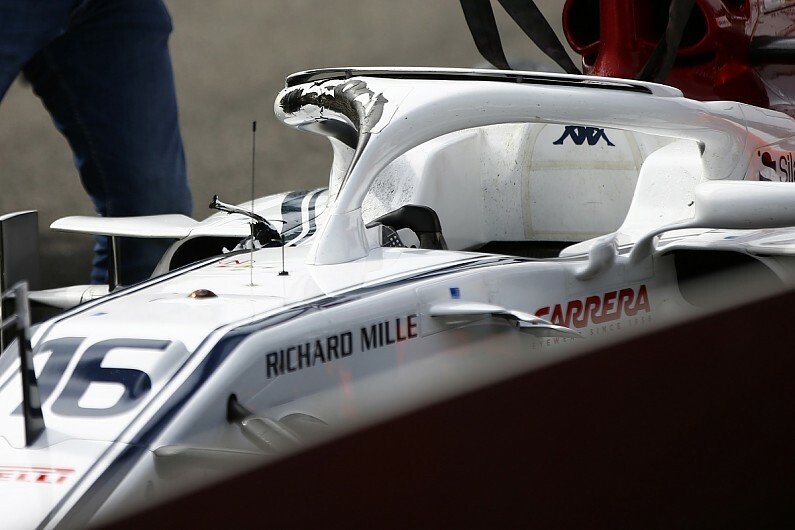 The benefits of the halo were brought into focus after Charles Leclerc escaped unhurt from a spectacular opening corner crash in Belgium when his car was hit by Fernando Alonso's wheel as it flew over the Sauber. But debate over the halo's looks continues, and Formula 1 race director Charlie Whiting said on Saturday the FIA was working on improving its aesthetics. "There is further research going on for a new iteration, probably [for] 2021," he said. "It is possibly more aesthetically pleasing to some, but that is not the predominant reason for doing it." Although an investigation into the Leclerc accident is ongoing, one preliminary conclusion is that the force with which Alonso's wheel struck Leclerc's halo was around half of its full test load. The halo is currently tested to withstand a force of 125kN (the equivalent of 12 tonnes in weight), and the FIA estimates Leclerc's halo withstood an impact of 56kN. "The initial conclusions are that the halo saw a load roughly half of the test load, more or less in exactly in the same place as one of the test loads is applied to the halo, and there is no distortion of the halo," added Whiting. "It was taken off with no buckling of it, and the Sauber guys have crack-checked it and it seems to be absolutely fine." When asked if he believed the halo had saved Leclerc's life, he said: "That is something that we haven't reached a conclusion on yet. It needs a bit of research. "To try to understand the accident mechanisms there, it is not possible at this stage to say that with complete certainty. "When you look at the video, frame by frame, you can see that the suspension was actually broken on the McLaren, by its contact with the halo, so that gives you a measure of the sort of loads." Whiting said changes to the halo to make it look better would only be made if extensive testing proved that safety was not compromised. "The halo project was the most thoroughly researched project we have ever done by a long way," he said. "We put an awful lot of work into trying to work [out] all the incidents where it may have helped, and you have probably seen the presentations where we tried to assess what would have happened with or without it. "It was a massively complex piece of research and it would have to be similarly thorough if we want to do another version of it."